Will cash continue to drop in usage or have we reached the bottom, will contactless migrate from cards to phones and take over and what is the role of wearables going forward? Will the changes in regulation and requirements for Strong Customer Authentication change how consumers pay? Or will we see biometrics with pay by face or fingerprint become the norm and to that end both cards and mobile are on the way out? What role will PSD2 open banking have on payment habits and will it be the death of cards as Accenture forecast? 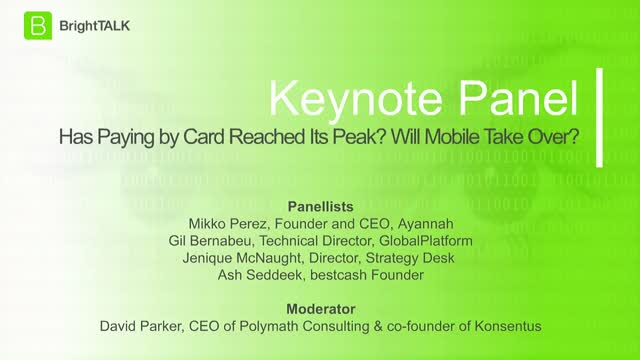 Title: Has paying by card reached its peak? Will Mobile take over?